So, what kind of passenger planes can you get in exchange for this 14-year old custom-made aircraft? The International Air Transport Association (IATA) has made it crystal clear: Venezuela could lose much of its aerial connectivity because of the large debt the government has with several international air carriers. But Economic VP/Oil Minister/PDVSA Chairman (and apparently an international air travel expert as well) Rafael Ramírez … disagrees. How he reached that conclusion, I don’t know. And the fact that no other country has said anything similar doesn’t support his case. 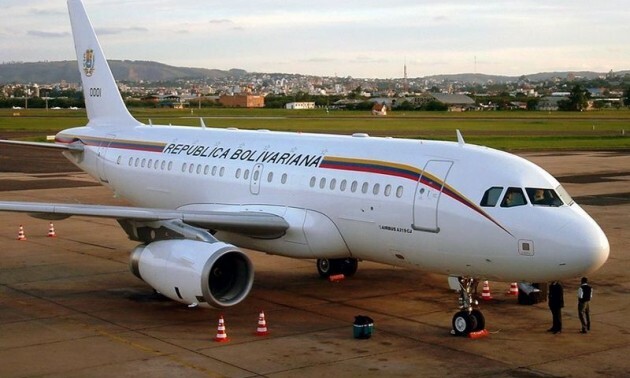 Why are they diverting planes from Venezuela and not, say, Colombia? Anyway, some people don’t let facts get in the way of their excuses, so Nicolás Maduro is now backing Ramírez’s claims. I guess Venezuelans will be stuck with local airlines. The problem is that there is an alarmingly decrepit, increasingly squalid fleet of passenger planes for local airlines. But don’t worry, they’re about to get a couple of new ones. How exactly? They’re going to sell the Airbus A319 that serves as our own Air Force One. It will be interesting to see how that unfolds, as Nicolas Maduro denounced last September that the same aircraft had “serious problems” and that he was considering suing its maker Airbus. But looks like that lawsuit simply went cold. My only piece of advice for them: better avoid E-Bay. They’re having serious security problems right now.